I interviewed my dad in 2012 about life on Halls Hill as he remembered it as a young child. 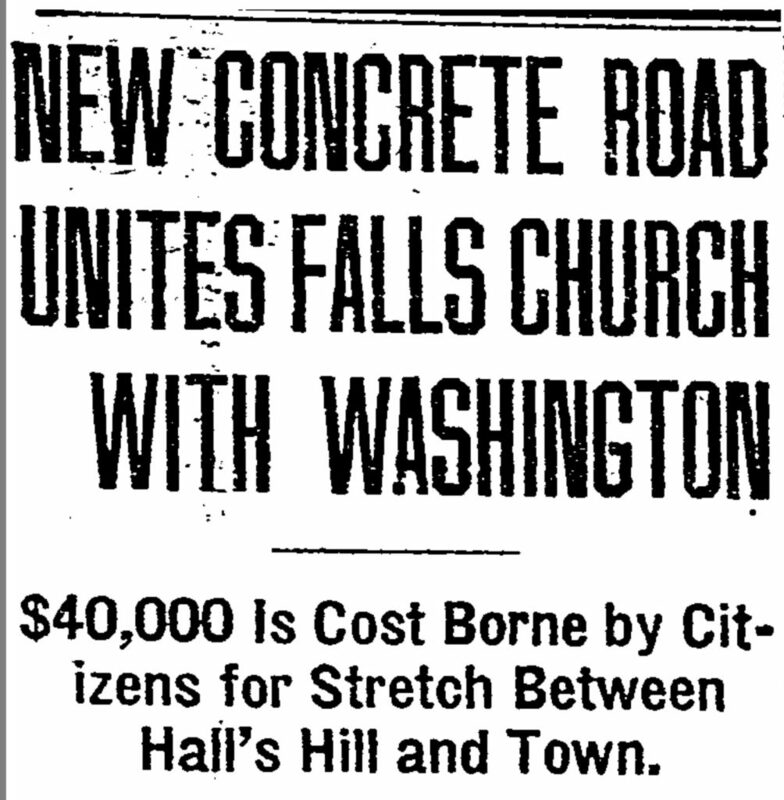 One of the things he explained was a big deal was the extension of Lee Highway from Halls Hill to Falls Church. Although he was only around 5 years old, looking back he remembered that for the first time people could drive cars to what was then a pretty rural area. Prior to the highway extension most people traveled by horse to Falls Church, the Chesterbrook area of McLean, and the what is now the Tyson’s Corner area. When 40 residents of Falls Church endorsed the $40,000 bank loans (from two Georgetown banks) for the state to extend the road, it was proof of how important increasing access to the community was for it’s future growth and relative importance in the area. Arlington paid the interest on the loan. Lee Highway had been extended from Cherrydale to Halls Hill many years before, making the allowing the neighborhood to thrive from a population growth and for entrepreneurs operating businesses on the Highway. The road was eighteen feet wide with one lane in either direction. It was extended 1.5 miles from Halls Hill to Falls Church. 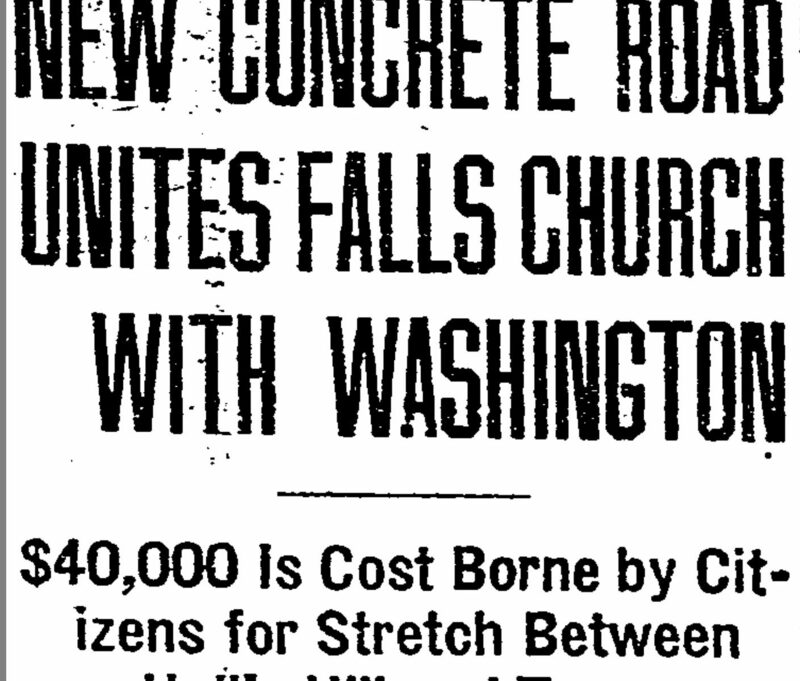 The work was completed on December 23, 1923 but the road was not opened for use until January 14, 1924. It was during this period that Halls Hill and the route to the community via Lee HIghway became important for the safety of African Americans. Sometimes when traveling from DC to Halls Hill, African Americans were concerned because of the thriving Klu Klux Klan organization in Cherrydale. Many people experienced whites chasing them via car through the Cherrydale area, with taunts and threats of violence for passing through their community, especially after dark. But once the chase reached Culpeper Street, (the only way in or out of Halls Hill at the time) and Fire Station 8, they were safe.